Welcome to Science Fiction Stories by Ken Doggett. Here you can find occasional reviews of both current and classic Science Fiction books, special VIDEOS, examples of his AMATEUR ART and PHOTOGRAPHY, and other features. Ken Doggett has been writing for many years, and became a published author when his story, Timestopper, appeared in the July 1981 edition of Amazing Stories. Since then, his stories have been published in several Science Fiction magazines over the years, but like many modern writers, he now directly publishes his own novels and short-story collections. ​He writes mostly in the classic Science Fiction genre, with an emphasis on fully-realized characters using plausible technology. For more of his bio, click on the ABOUT page. You can navigate this website and its features using any of the tabs at the top of the page (for mobile displays find the tabs by clicking on the index icon at the upper left), and if you want to say something about any of his blogs, you can leave comments on his BLOG page. That's also the page where you can sign up to receive his book reviews and other comments by email, or access the CONTACT page to send him a message directly. 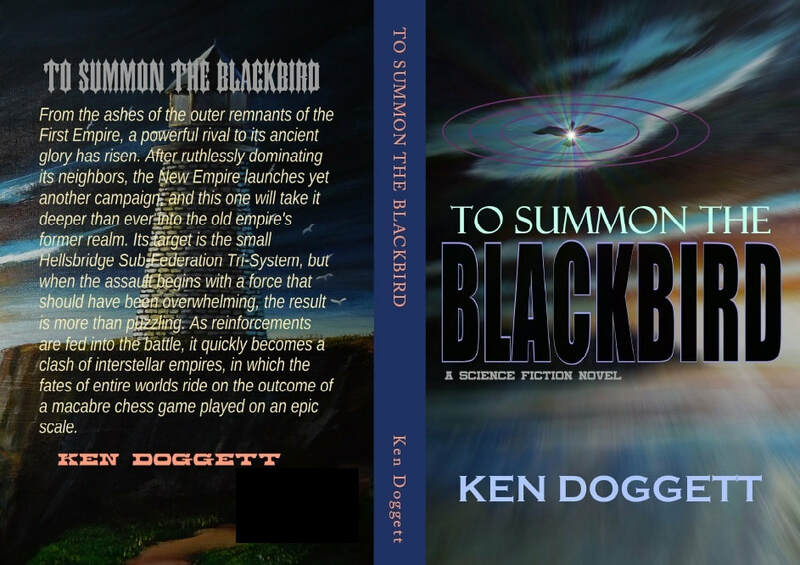 ​The CURRENT BOOKS page lists his books, including the Science Fiction novels,To Summon The Blackbird and Ship Of Storms, a short story, The Golden Apple, and a collection of short works, Places Of Time. Another tab located at the top of the page is the handy WHERE TO BUY tab, with convenient links to most of the major online and brick-and-mortar bookstores where you can find his books in paperback and hardcover. If you enjoy his work, or just want to chat, don't forget to follow him on Twitter. Ken Doggett is a participant in the Amazon Services LLC Associates Program, an affiliate advertising program designed to provide a means for sites to earn advertising fees by advertising and linking to Amazon.com, Amazon UK, and Amazon.CA.